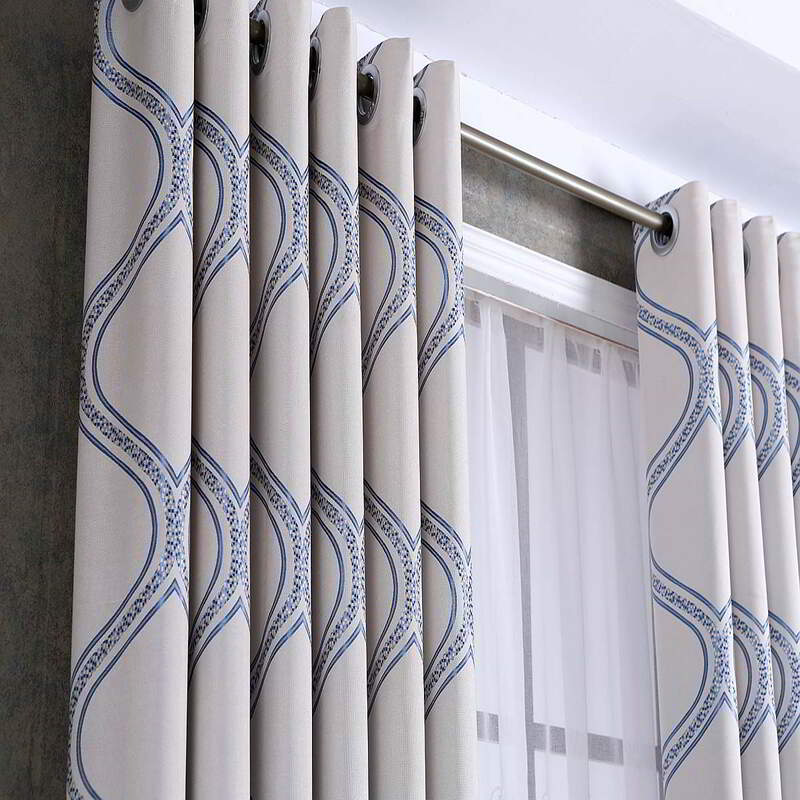 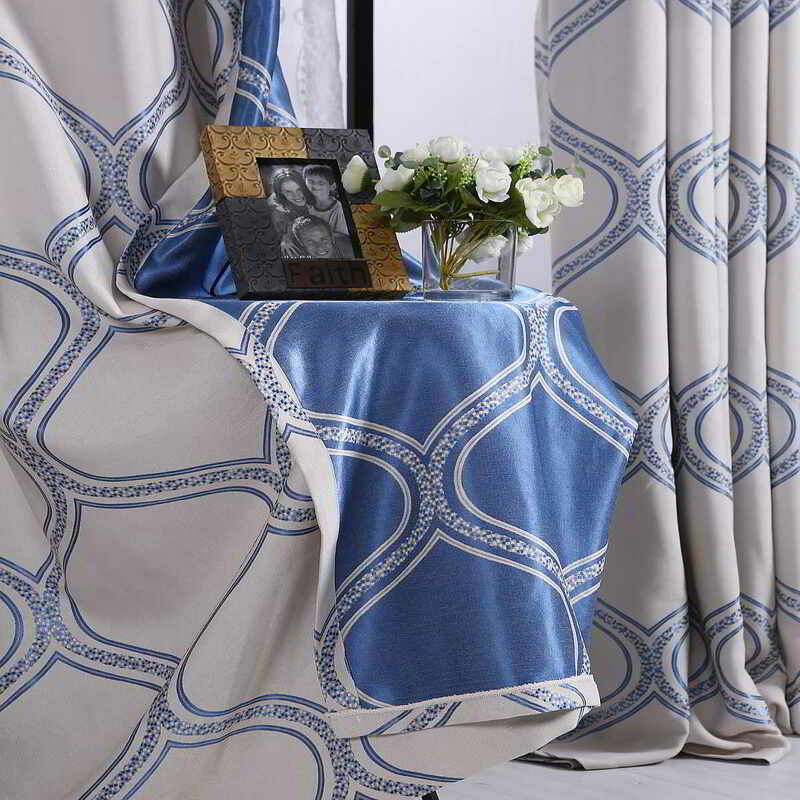 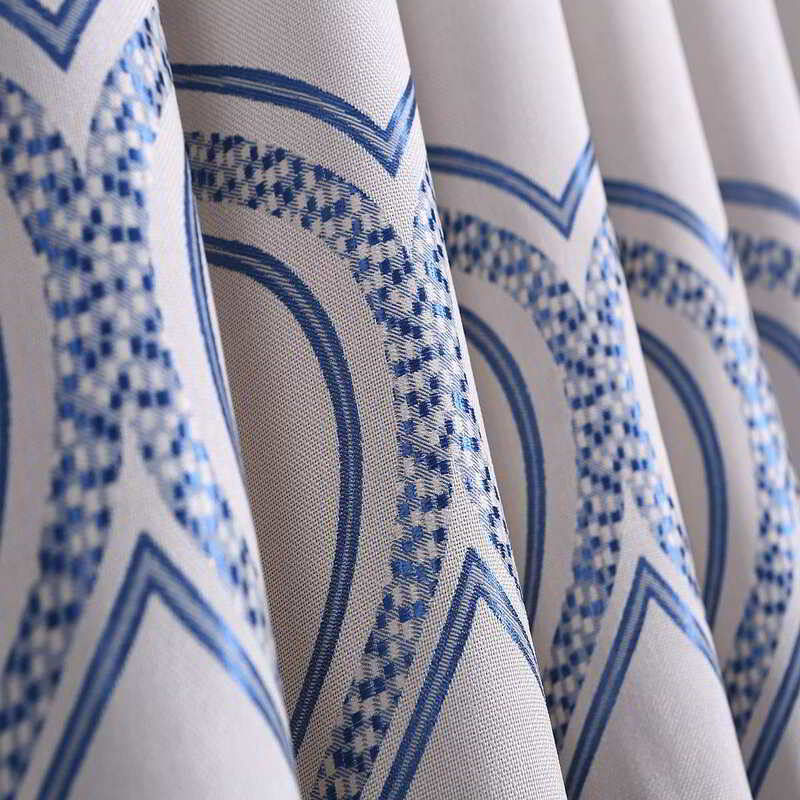 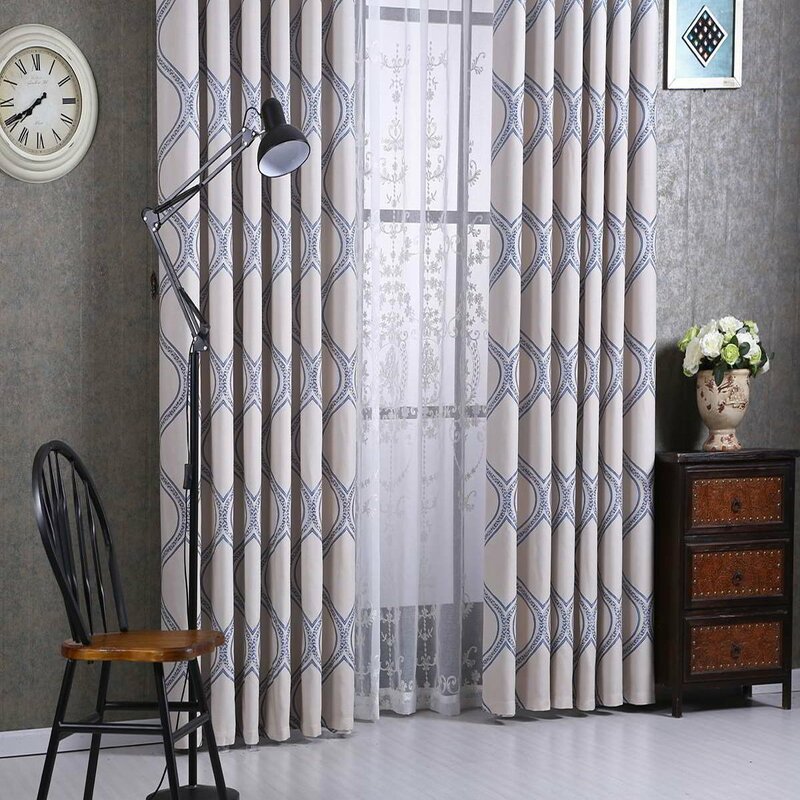 Decorate your window with style and sophistication with these luxury semi-blackout thick fabric curtain panels featuring blue geometric patterns on an off-white background. 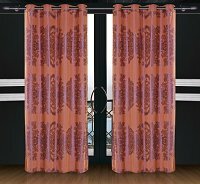 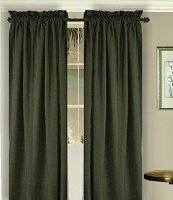 These unique curtains create an at most modern decor and privacy. 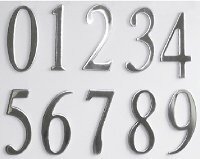 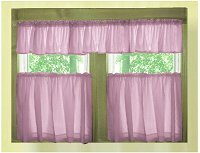 1 curtain panel 60 x 100 with silver grommet rings in plastic PVC bag.